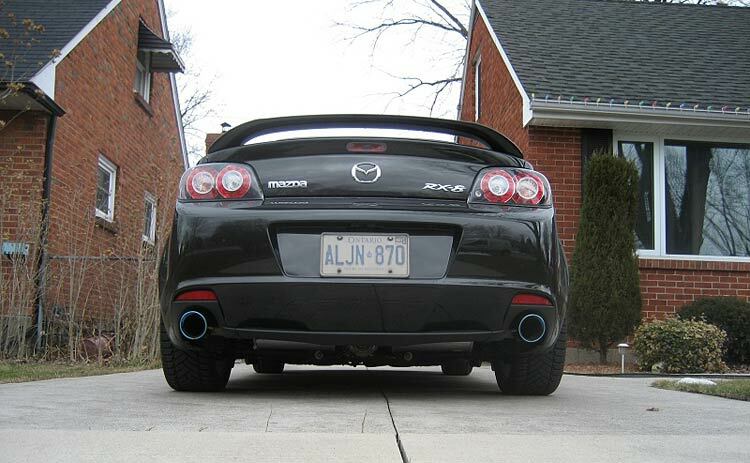 Tempted to get an exhaust to improve the looks and sound of your Mazda RX8? We’ve taken a look at the best exhausts in the market to bring you our Ultimate RX8 Exhaust Guide. When the RX-8 was launched to the market in 2003, it had huge boots to fill to live up to the expectations of its predecessor, the legendary RX-7. Motoring enthusiasts around the world rejoiced as Mazda announced that the RX-8 would once again be rocking the incredible rotary engine. Unfortunately though, this time around, the twin-turbo’s were nowhere to be seen. However, turbos aside, with a front-mid-engine, rear wheel drive layout, near 50:50 weight distribution and the insane 9,500rpm rev limiter, it was still an incredible car on paper and a dream of many true car enthusiasts. Want get to your RX-8 handling right? Our RX-8 Coilover guide was written just for you. Fast forward to the present day, and the RX-8 has left its difficult history behind. A lot of RX-8 owners would’ve undoubtedly purchased this awesome-looking car from new without really fully understanding the complex mechanical aspect behind it. The RX-8 is still a beast in its own right and wasn’t so suited to people that would run it every day for their shopping trips without really fully understanding the workings and maintenance requirements of a rotary engine. Take a look at this video for an in-depth guide on exactly how the rotary engine actually works. There are undoubtedly some perfect engines still to be had out there, but the rotary certainly needs more care and attention than most engines on the market, and the economy certainly isn’t to everyone’s taste. Luckily, this has meant that it’s struggled through the test of time and no longer desirable to most everyday owners, which means that we get an incredible car at a ridiculously cheap price! There’s no question that the rotary engine is one of the most insane ever produced, and not only does it sound great in stock form, but Mazda actually managed to squeeze most of the potential out of the exhaust, which is extremely rare to see from factories. With that being said, there’s certainly room for improvement. We’re going to show you the best exhausts on the market which will still give you some small gains, along with more impressive sounds and far superior looks. Whether you’re looking for a little more response, to simply update the looks or to make it sound like a whole new beast, our list will help you decide which is the perfect exhaust for you. It’s time to hear the true potential of what your rotary engine has to offer! Before we get started, here’s a teaser video to prepare your eardrums for what they’re about to enjoy! As always, try not to get caught up in the power claims from our selection, exhausts will only offer a minimal amount and it’s far more important to get a setup which you love the look, and sound of. When watching videos, you’ll want to bear in mind that multiple variations (angle, camera, etc) can change how an exhaust sounds. You’ll also want to bear in mind that some cars may have had additional exhaust modifications carried out (headers, cats, etc) when watching the videos. If you like the sound of one, try to check whether it’s had additional mods carried out. 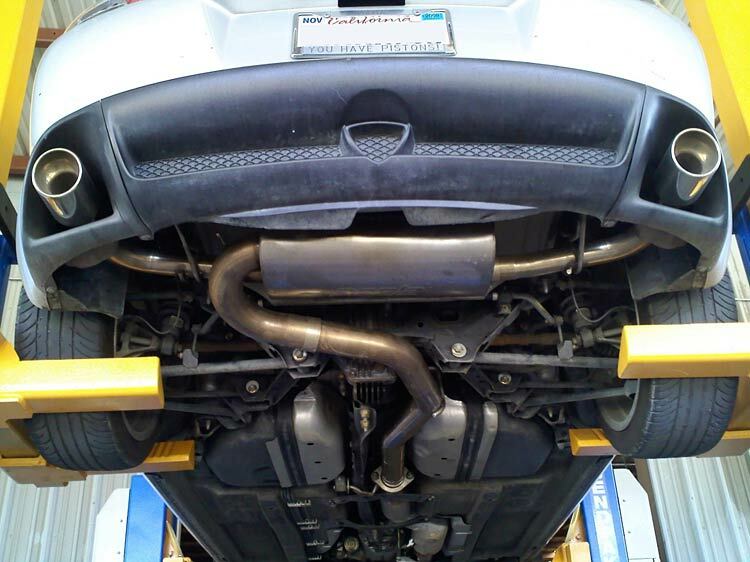 Now that you’ve got an idea of what you’re looking for, let’s take a look at our Mazda RX8 exhaust selection! Our comment: JDM tuning legends GReddy kick off our list with their popular Spectrum Elite exhaust. GReddy has put their typical quality into creating this stunning system at a reasonable price. This is one of the quieter, more subtle sounds on the market, but with a fantastic tone. They also went on to later release the GReddy Supreme SP, which offers a larger piping diameter, for those of you considering bigger power, which is naturally also slightly louder. Both choices are great for different purposes, and you really can’t go wrong with either of these. Our comment: This Agency Power exhaust is undoubtedly one of the most popular with RX8 owners and it’s certainly quite a bit louder than the GReddy. It may be too loud for most people when you’re on the throttle, but it’s surprisingly tame when cruising with a deep tone at idle. This exhaust is known for popping and banging frequently. This is certainly not one of the calmer exhausts in our list, but if you’re after a louder sound and don’t mind pops and bangs, this is a great exhaust at a great price. Our comment: Another legendary JDM tuning house enters the market, and if you thought the Agency Power exhaust was loud, HKS has arrived to cause an upset. For those of you that are looking for a loud, free-flowing exhaust and don’t mind the single exit look of the Hi-Power, there’s a definite bargain to be had here. Featuring a nice, deep tone, it’s not too loud if you’re light on the gas, but as soon as you put your foot down all hell breaks loose. 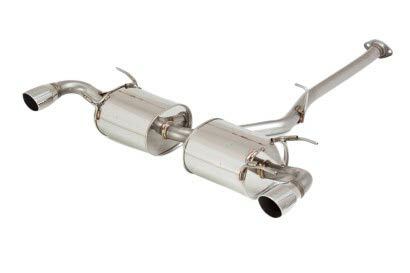 The Hi-Power is one of HKS’s best selling exhausts of all time and this adjustable-length titanium-tip option has left RX8 owners rejoicing as it pops and bangs. Our comment: HKS return to our list with something a little different to the Hi-Power with the Legamax. This time around, they bring a far more subtle, dual-tipped offering at a higher price point. As you’d expect, the quality of this system is up there with the very best and it provides an incredible, clean sound, which won’t have you getting pulled over by the cops. If you’re after a great, clean-looking legal exhaust which is subtle when idling and cruising but comes alive when you step on the throttle, you’ll definitely want to take a look at this. Our comment: This is undoubtedly in the Top 3 most popular exhausts for RX8 enthusiasts with many delighted long-term owners. Featuring a subtle look with a clean, aggressive tone. It’s perfect for those that are looking for a high-flowing system which comes alive on the throttle and pops without destroying your eardrums. 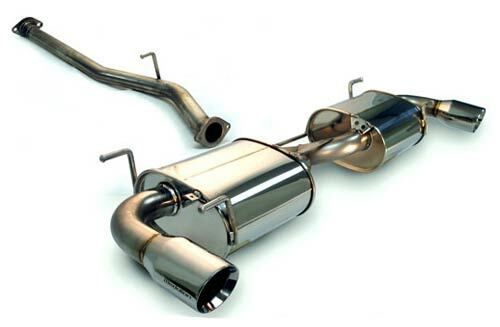 It may be at the higher end of the price range, but we have no doubt you’ll love this exhaust. Our comment: So you’ve probably looked at the price and thought to yourself “Yeah, okay. What’s the catch here?” When in fact, the TurboXS is surprisingly impressive. Many owners were undoubtedly tempted by the price and figured they’d give it a shot, and they’ve come back positively surprised. This is definitely the best bang-for-your-buck option on our list if you’re looking to go down the budget route. It provides plenty of sound without being deafening either. Highly recommended! Our comment: The rather amusingly-named Billy Boat exhaust is one of the rarer choices on our list. 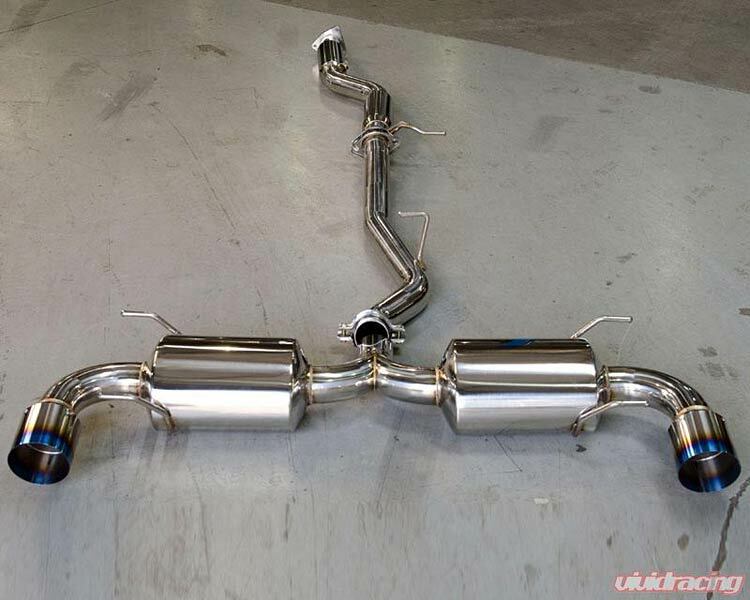 B&B are known for their great quality, and this exhaust is no exception. This twin-exhaust is on the louder side, but certainly not the loudest on our list. It has many happy owners, but we’d personally opt for a different choice within the price bracket. Our comment: Tanabe is generally one of the more popular exhausts in our reviews, but it seems to be a rather rare choice for RX8 owners. Known for their exceptionally high-quality systems with lower volume levels, Tanabe are typically known as “the gentlemans choice”. If you’re after a quiet yet stylish system which won’t attract too much-unwanted attention, we highly recommend looking at Tanabe. Our comment: APEXi is a huge name in the tuning game, and their Hybrid Megaphone EVO RX exhaust is the cheaper of their two offerings which come at a reasonable price. As you’ve probably guessed, based on the name, this is the loudest of their two exhausts, but it isn’t excessively so. If you’re interested in the more expensive, quieter option then make sure you take a look at the APEXi WS2. Our comment: Bringing unique, handmade precision with every exhaust, you can always count on Fujitsubo to come up with the goods. This is a great option for those who are looking for a quieter aftermarket system with a deep yet subtle tone which is ideal for daily use. 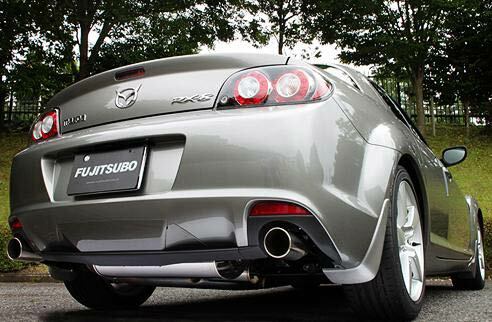 There’s certainly a fantastic selection on the market for RX8 owners, but we feel that the HKS Hi-Power exhaust stood above the rest this time around. 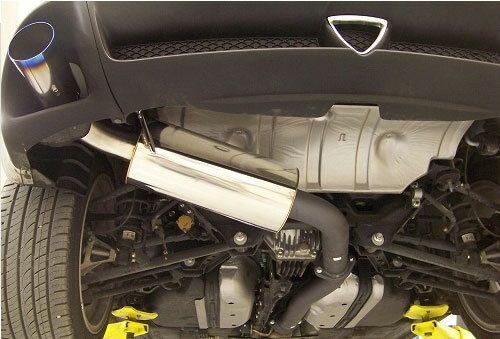 The HKS Hi-Power blew us away in terms of price and performance and for that reason, it’s our RX8 exhaust of choice. It may not be to everyone’s taste, since it’s one of the louder choices and has a single exit, but the HKS is fantastic quality at an incredible price which is undoubtedly one of the highest-flowing systems in our guide. All-in-all, it’s a fantastic package. If we’re purely talking about looks, performance, and sound with a higher budget, the Borla is a true competitor. We could listen to its soundtrack all day! For those that are looking for a bargain, we’re convinced but can’t afford the hi-power, or don’t want a single exit, the TurboXS is the ultimate choice. Not keen on the rotary powerplant? Rotor tips shot? 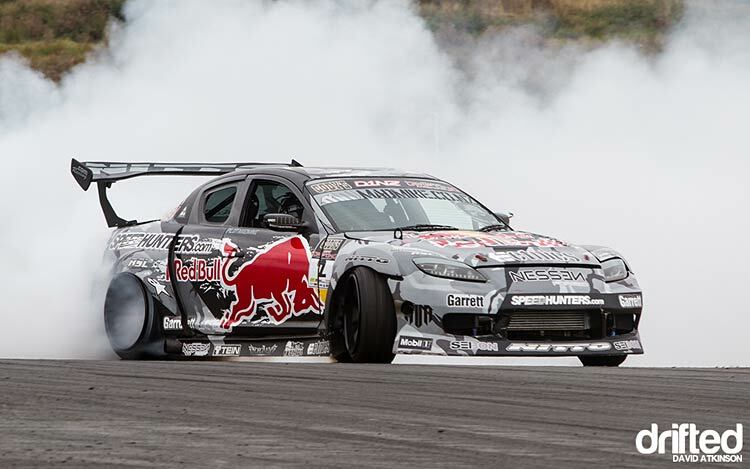 Maybe it’s time to look at an engine swap for your RX-8?.